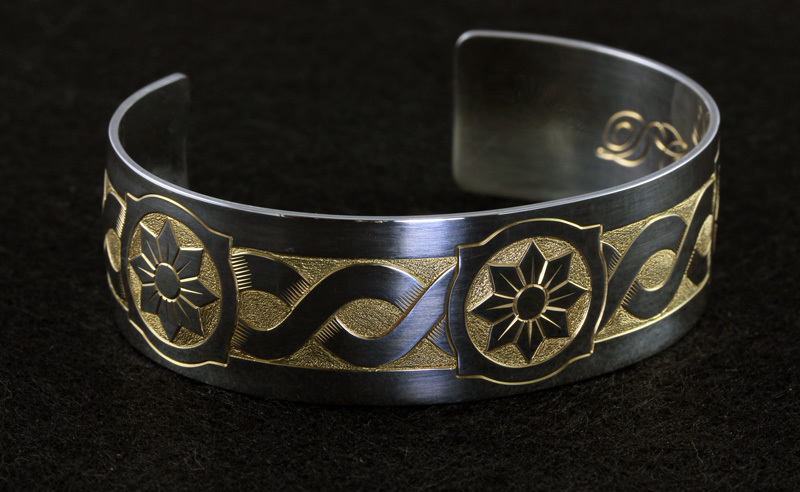 This “Old Santa Barbara Mission Bracelet” is hand engraved in deep relief fashion. 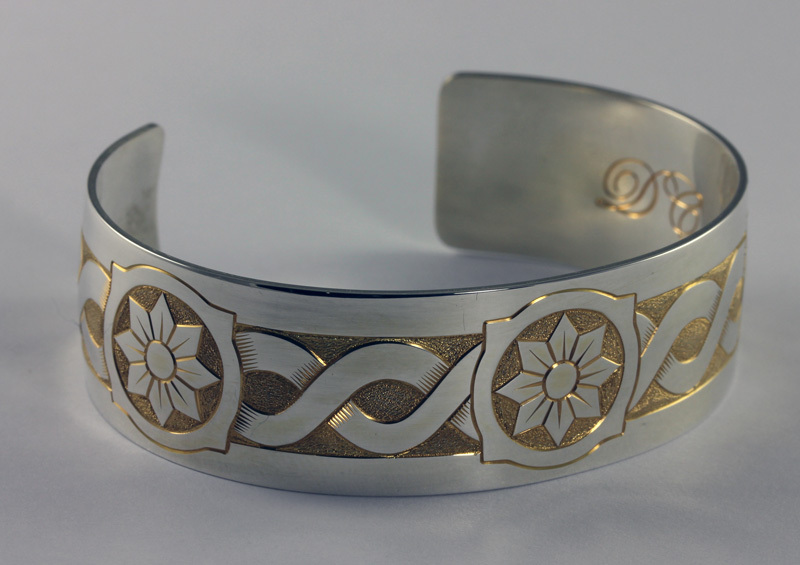 The recessed engraved areas are then electroplated with 24K Gold. The design features several elements from the iconic mission including the newly restored rosetta window above the entrance, the carved wooden doors and flowing designs painted on the interior church walls. Matching pendants and earrings are available. See the Santa Barbara Collection for more info.